Founded in 1974, RESOLVE COMMUNITY COUNSELING CENTER is a private, nonprofit* mental health agency in Scotch Plains, New Jersey dedicated to providing quality and affordable counseling, advocacy and educational programs for children, adolescents and adults, individuals and families. Resolve provides psychotherapy and counseling by psychologists, social workers, and mental health counselors for the people of Scotch Plains, Fanwood, Plainfield, and surrounding areas in Union County. Resolve provides evidence-based and effective care by highly trained and caring professionals. Resolve’s services are highly confidential and based the latest therapy research. Additionally, Resolve Community Counseling Center offers low-cost services on a sliding scale basis for those in need. resolveccc@aol.comalso you can mail us. – Drug and alcohol counselor – LCADC or CADC. Positions are all part-time, flexible hours including weekends. 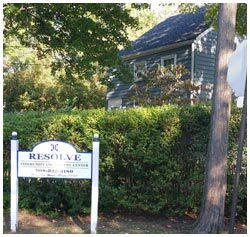 Resolve provides a warm, supportive environment for our counselors as well as for our clients. If interested, please email Dr. Lidia Abrams at ResolveCCC@aol.com. Resolve counselors utilize Rational-Emotive and Cognitive Behavioral Techniques. These are modern adaptations of the stoic philosophers who discovered that emotional distress is more a function of perceptions of the here and now than of the past. © 2017 Dr. Mike Abrams, PhD, MBA, ABPP | All rights reserved.